Silicon Valley and the Route 128 Massachusetts Miracle are a bit of reality and myth tossed together like a Caesar salad. In recent years, the Silicon Valley, in particular, has become a Camelot of sorts for economic developers–a place where the mythical king of technology, innovation and creativity ruled over the dominion of the knowledge-based economy. These magical geographies have personified the holy grail of economic development: clusters, full of gazelles, populated with Knight-Entrepreneurs including the greatest Knight of all–Lancelot-Steve Jobs. Or Galahad-pure, Sir William Gates (who would create his own Camelot in Redmond Washington). Or, if you must Oracle’s Larry Ellison. But what are the realities behind all these legends? In the years since these two Camelots have developed have we distorted, even unintentionally, what really happened–why they evolved and how they evolved. Do we really even know today “what” evolved? 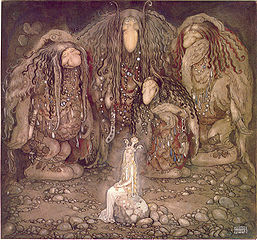 In this review we try to penetrate these mists surrounding these magical lands just enough to shed enough light to help economic developers in their quest to discover their community’s holy grail–or to expose them to the sadder reality that their quest has more in common with Monte Python than with the Idylls of the King. First and foremost, we shall briefly present our version of the history of these two Camelots: Route 128 and Silicon Valley. So the reader should anticipate that we are concerned with an historical-analytical description as our primary purpose. True enough, the history behind our Camelots has faded into obscurity and too much myth has crept into so-called contemporary reality. Today, data drawn from ,and comparison with Silicon Valley in particular, has become a sort of benchmark with which to compare other geographies. But we must confess, this review is an introduction to a topic we wish to develop further in future reviews. We are trying to prepare the ground to discuss a larger issue–whether the current literature which stresses innovation-gazelles and high tech in its various forms and its linkage with knowledge-based economics is on target with what we know about the past. Skeptical as we are, we wonder if education and knowledge as the primary driver for job creation and innovation has been pushed a bit too far? We wonder if we have wandered too far from the industry and sector dynamics and what we have learned about agglomeration economics? 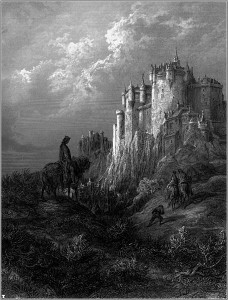 In short, our lesson learned from our two Camelots is that industry and sector dynamics created Camelots which are somewhat unique and product not only of their time, not only on the culture of each Camelot, but of the industries and sectors on which they were based. To us there appears to be no path common to all technology sectors and industries. If the reader wants a taste of the diversity of high-tech and the complexity of how economic developers relate to technology, the approach used by Ann Markusen, Peter Hall, and Amy Glasmeier in their, High Tech America: The what, how, where, and why of the sunrise industries (Boston, Allen & Unwin, 1986) would be very helpful. In the future, however, the reader may well be treated to their, somewhat long in the tooth, approach to innovation and job creation. That is not our story in this review, however. This is a brief assessment of the rise of Route 128 and the Silicon Valley. The material we base this on is, in our opinion, the best available. The most well-known is Annalee Saxenian’s, Regional Advantage: Culture and Competition in Silicon Valley and Route 128 (Cambridge, Harvard University Press, 1994). In addition, we will supplement Dr. Saxenian’s work with other papers and articles she wrote during the 1990’s. Also, we will draw from other literatures to complement the Saxenian motif. For Route 128, we will draw from David R. Lampe (ed), The Massachusetts Miracle (Cambridge, MIT Press, 1988). A second fine addition is S. Rosegrant and D. Lampe’s, Route 128: Lesson’s from Boston’s High Tech Community (New York, Basic Books, 1992). In addition, we found very useful Timothy J. Sturgeon, “How Silicon Valley Came To Be”, chapter two in Martin Kenny’s, Understanding Silicon Valley: Understanding an Entrepreneurial Region, MIT Working Paper Series, December, 2000. Route 128, or more correctly, the Harvard-MIT complex was arguably the home base for the so-called third wave, technology-based, post-industrial revolution. When this Camelot was constructed, the highway was not yet built; the highway’s first span opened only in 1951. 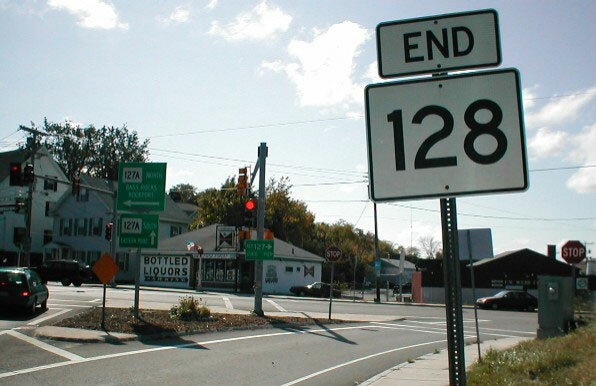 The actual birth of what would be Route 128 occurred in Boston and Cambridge. It was the pre-war and World War II activity in those cities–in particular, the labs spun off from the universities– which populated Route 128. Route 128’s birth was previous to Silicon Valley’s birth. In some perverted way (forgive the Curmudgeon), both Silicon Valley and a Texas Camelot, Texas Instruments, were derivatives or diffused offshoots of the pre-Route 128 nexus. The reason Boston-Harvard-MIT became home base for this revolution, i.e. grasped the initial advantage over other regions of the nation, was, in our judgment, the relationships those universities had with the Defense Department and Washington DC. These relationships had been built from a multi-century economic, political and academic base. Our belief that pre-Route 128 Boston seized the initial head start, becoming the first Camelot, raises at least two questions: why? And does a head start really, really matter? We will answer the second question first. No! As the reader will, upon quick reflection, realize if it mattered we would not be talking about the Silicon Valley or probably anyplace else. But, as the old saying goes, “knowledge diffuses”. Head starts can be very real, but they are not impregnable. In the Curmudgeon’s world knowledge naturally diffuses and does so unpredictably and serendipitously–unless, of course, law and the sheriff say it can’t. Absent a Gulag and the Soviet Union’s approach to technological research (which incidentally seems to have worked reasonably well) knowledge, if given a chance, will like rain on a leaky roof find a way to get into your living room. As to the first question, Why? The Boston area and its universities enjoyed several long-standing preconditions or assets which facilitated their head start. 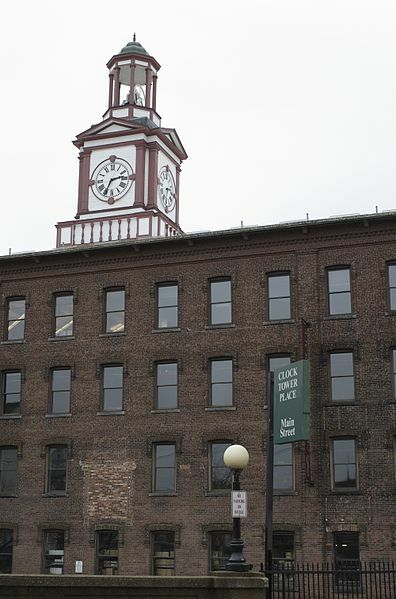 New England was first industrial region in USA (leather goods, textiles and machine tools) and its industrial base was diversified, possessed a well educated and trained workforce, had evolved all sorts of support and logistics firms-expertise, and had pioneered a unique kind of university. 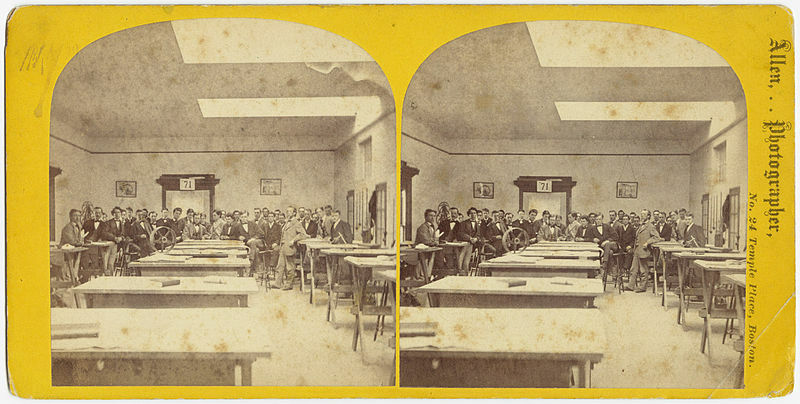 The creation of MIT in 1861 “with its uniquely practical focus, “the orientation toward the needs and interest of the industrial community”, (The Massachusetts Miracle, p.3), made it arguably the first university whose mission dovetailed with private innovation. MIT was not the standard liberal arts university. MIT spun off companies as early as 1889 (Arthur D Little, Raytheon and EG&G prior to WWII. But to be fair, Harvard was closely associated with Edison’s Bell Telephone (1877) and spun off Edward Land’s Polaroid (1937). Both were important cutting edge technologies. MIT, especially, was not a “virgin” in spinning off technology firms previous to World War II. By 1986 MIT claimed it had spun off at “least 400 companies in the state … since 1950, sales in excess of $29b and in-state employment of 175,000 (Route 128: Lesson’s from Boston’s High Tech Community, p.12). Harvard’s major contribution, in our humble opinion, was to spin off the nation’s first venture capital firm (1946). With its original capital from the local insurance industry (a fairly unlikely source of capital these days) a Harvard school of management dean, General Georges Doriot, and former MIT President Harry Compton founded the American Research and Development Corporation. American Research and Development was the region’s, and probably the nation’s, first venture capital firm (its most well known investment was Ken Olsen’s Digital Equipment Corp). Boston’s financial sector was sufficiently flexible to fund spin offs. The First National Bank of Boston allowed as collateral federal research contracts, for instance. Indeed, the First National Bank of Boston made tech financing a specialty and served as an intermediary between entrepreneurs and region’s wealthy families. The bank formed its own investment company in 1957 and in 1958 became the nation’s first SBIC. So Boston, Harvard and MIT possessed an innovation-knowledge infrastructure as early as the 1880’s. The region/universities also possessed a political infrastructure which extended deep into the bowels of Washington DC bureaucracies and governance. Previous to World War II a long history had played out with the region’s universities, for a price, serving as an informal national research laboratory, and the Alma Mater of much of the nation’s political and bureaucratic leadership. When something innovative needed to be done, the Boston knowledge-innovation complex came quickly to mind. Innovation came in the form of war–a world war. It was the Second World War which triggered the flow of federal funds to our First Camelot. But the war’s end did not stop the dollars from coming. 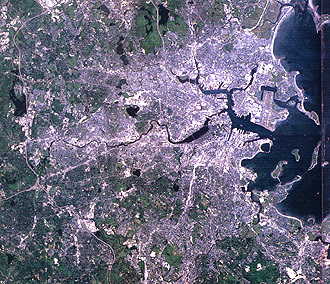 The World War was followed by the Cold War and the Cold War was based on nuclear war and nuclear missiles–and the Boston complex was the natural recipient of funds to innovate the technology and design the products. These tasks were subsequently followed by still more funds from NASA to counter 1958 Sputnik. DOD was no longer the only federal agency as DOE, NIH, DOT, NSF, and NASA with defense related contracts. An often unappreciated prerequisite for the birth of our First Camelot was not just federal defense-related contracts, but a sustained, over a generation, continual flow of federal funds to fund technology–not just pure basic research in technology–it was applied research for the most part. Federal research dollars to support World War II’s military effort ($117mm to MIT alone) was the lifeblood of the technological revolution which would spawn our two Camelots. But, we are not talking about basic research–not at all (Project Manhattan went elsewhere, for instance–and it too could have been considered applied research). Federal defense-related contracts funded applied research which built upon earlier basic research, some of which had laid around unused since the 1920’s. With specific products in mind, the various War Departments (no Defense Department until 1958) and its ilk provided funds to researchers to create working systems capable of immediate use in the war. The perfection of radar, and self-aiming anti aircraft guns were their original targets (pardon the pun). “In 1962, federal government purchases accounted for fully half the sales of Route 128 firms (Route 128: Lesson’s from Boston’s High Tech Community, p.15). Interestingly, since neither Harvard nor MIT wanted to do military research on campus, each set up separate off-campus research laboratories. MIT started the off-campus Lincoln Laboratory for Air Force related research and other MIT research spin offs were MITRE Corp and Draper Laboratories. 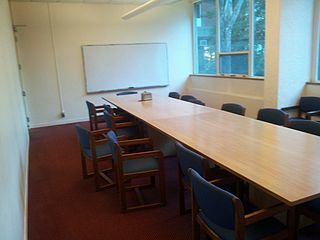 The separation of the university physically from the spin off labs would ultimately prove to be a defining characteristic of Route 128 experience–and not necessarily a positive characteristic. The Air Force had encouraged the incorporation of the Lincoln Laboratory in 1951 (missile and radar, high speed digital data processors) and later Lincoln Lab spun off the non profit MITRE corporation. By the mid 1960’s these two labs employed some 5000 scientists (Route 128: Lesson’s from Boston’s High Tech Community, p16). In the meantime, MIT (1955) concluded that “investing in start-up companies was too risky and not consistent with how ‘men of prudence, discretion, and intelligence manage their own affairs’…. [so] In spite of the university’s commitment to commercially relevant research, it kept firms at arm’s length. MIT claims that during the 1950’s & 1960’s over 100 spin-offs poured from these research labs and their federal contracts. Lincoln Labs spun off Data General, Raytheon and Digital Equipment. This process and interrelationship of technology innovation and spin off is the heart and soul of our Camelots. Central to this process and interrelationship is a special kind of entity, we call it a “platform” company”. The platform company not only pioneers innovation/technology/products, but throws off spin offs like a popcorn maker pops out popcorn. 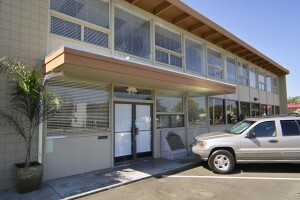 The first generation platform company was the research lab. Platform spin offs from the research labs (the Data Generals, Raytheon and DEC) were second generation platform companies. In Route 128’s model, subsequent spin offs of the second generation platform company were retained within its corporate structure as a subsidiary or “department”, transforming the second generation platform company into a vertically integrated “holding corporation”–a technology conglomerate. And so the legacy of long past research was resurrected to accommodate these new products and technologies. In the 1920’s, for instance. 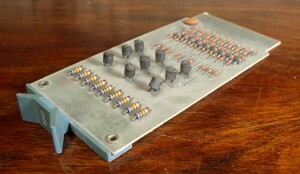 MIT researchers started research on the mini computer and in 1953 constructed, Whirlwind, the “world’s first reliable real time electronic digital computer Route 128: Lesson’s from Boston’s High Tech Community(,p.5). The platform company research and spin offs are what filled in the gap between the basic research and product development. But even all this was not sufficient to create a Route 128. Design was one thing, prototype production another and scale up production required yet another infrastructure to be readily available. The 65 colleges and universities in Boston area “provided a critical source of professional labor, including physicians, managers, and lawyers as well as engineers and scientists (Route 128: Lesson’s from Boston’s High Tech Community, p.5). 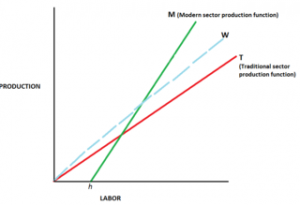 This is the labor force and middle management that would be needed to accommodate the growth and production that followed from the innovation. The Boston area could provide both and hence captured the initial innovation, as well as the bulk of the production associated with these new federal initiatives. The results of all this were pretty dramatic stuff. “By the late 1960’s high technology has taken firm root in Massachusetts, accounting for nearly 10% of total employment”(Route 128: Lesson’s from Boston’s High Tech Community, p.6). Route 128 was the core was by that time, the core location. Route 128 as a “limited access circumferential highway opened in 1951”, allegedly the nation’s first. As early as 1955, Business Week referred to the highway in an article “New England Highway Upsets Old Way of Life” and called it the “Magic Semicircle”. By 1958 99 firms and 17000 workers located along Route 128; by 1961 there were 169 firms, employing 24000 directly on the highway and as many very close by. In 1965, MIT researchers counted 574 companies in the region, and the number more than doubled in the following eight years. (Route 128: Lesson’s from Boston’s High Tech Community, p.16). In 1972, there were 1212 firms. . By the 1970’s, the Route 128 region had established itself as the nation’s leading center of innovation in electronics. 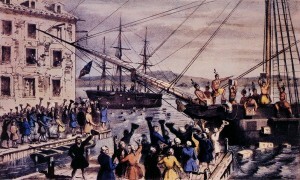 The decade of the seventies was one of explosive growth and was labeled by politicians as the “Massachusetts miracle”. These advances opened up new markets and commercial applications and created the demand for products that Route 128 firms could supply. DEC, Wang, Raytheon and Honeywell scrambled to take advantage. DEC took the lead, with Ken Olsen (spin off in 1957 from Lincoln Lab). Route 128’s key path-breaking Entrepreneur was Kenneth Olson and his micro computer. In 1957 Olson had left Lincoln Lab and started DEC in an abandoned textile mill (not on Route 128). DEC was the platform firm creating spin offs that were critical during 1970’s. DEC could have served as a second generation platform company. It could have spun off entrepreneurs and small firms. To a certain extent it did. Data General was a spin off and it become a competitor and rival to DEC’s competitor, along with Silicon Valley’s Hewlett-Packard. In 1986 Fortune magazine declared Olsen to be America’s most successful entrepreneur. For the most part, DEC retained its innovations within its corporate structure, became more rigid, and, for various reasons, less responsive to consumer demand. Indeed, it tried to shape, if not force, consumer demand to accommodate its own proprietary projects. Data General was the first to fail; it commenced a very serious decline in the mid-eighties and was sold to EMC in 1998. EMC, another Route 128 inhabitant, would be a survivor and it is still a major force in yet another new technology sector: data storage. For awhile DEC went head to head with its competitors, but the writing was on the wall. In 1998 DEC was acquired by Compaq (a Texas Instruments spin off whose chief competitor in the PC market was another Texas firm, Dell), and in 2002 Compaq was acquired by Hewlett Packard. In essence, the minicomputer had lost the battle to the PC. Technology had moved too fast for DEC. Route 128 by the turn of the century had lost key elements of its earlier cutting edge firms. With some exceptions, it had not kept pace in the continual spawning of yet new technology sectors. During the 70’s there was a basic shift in the relationship between business and STATE government. State government and the Massachusetts business climate seemed to go on their own separate paths during the pre-1975 years of our First Camelot. Cost plus defense and federal contracts, to some degree, absorbed cost differences and probably obscured inefficiencies. But the huge decline during the seventies in federal contracts and the need to enter consumer markets with their products, forced Route 128 firms to compete not only in terms of innovation, but also in cost. Business climate issues could no longer be ignored. Between 1967-1972 defense contracts awarded to New England declined about 40% in “real terms”, the state lost 112,000 manufacturing jobs, 15% of which were from high tech firms (p.6-7). 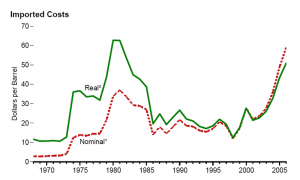 The 1973 national recession , followed by 1974 oil crisis, pulled the state further down economically. Engulfed in a very serious recession, the state budget was a relatively large $2.5 billion, and one-fifth of it was spent on welfare-related programs (Route 128: Lesson’s from Boston’s High Tech Community, p.7). In “Taxachusetts”, the state and local per capital expenses had doubled from 1965 to 1971 and were third in nation behind New York and California. The number of state bureaucrats increased between 1968-71 by 33,000 to 268,000 . The state’s energy costs were among the highest in the nation (dependent on oil in an oil and energy crisis). Economic development was not focused on Route 128 technology firms and its economic development programs were scattered among four different departments (Route 128: Lesson’s from Boston’s High Tech Community, p.8). As technology firms perceived all this, they felt the State business climate was a disaster. “The collapse of the New England and Massachusetts economy goaded the “historically aloof business and banking community” into action. (Route 128: Lesson’s from Boston’s High Tech Community, p.8). All perceptions were cataloged in a 1972 pamphlet, “Look out, Massachusetts”, written by chief economist of Bank of Boston, James Howell–who was closely connected to tech financing and Route 128. The pamphlet was an attempt to bring state spending under control and to develop incentives to stimulate business investment in much-needed plant and equipment” ( Route 128: Lesson’s from Boston’s High Tech Community, p.9)–seventy five thousand versions were circulated. The value of Howell’s pamphlet was that in the absence of any useful state public planning or assessment, this was the only vehicle available to both educate and motivate decision-makers–and it was quasi private in its origins. In the 1972 gubernatorial election, Francis Sargent (Republican governor) made Look Out Massachusetts an issue. He promised to triple the investment tax credit from 1-3% and to gradually eliminate tax on inventories (for firms w/high inventories this could be one-half of state tax bill). (Route 128: Lesson’s from Boston’s High Tech Community, p.9). Sargent won and these incentives were approved by state legislature in 1973 (“Mass Incentives”) plus $500 tax credit for hiring welfare workers. “(I)t is difficult to determine the effectiveness of such incentives. In retrospect, there is little evidence that these incentives were responsible for any of the new jobs that eventually were created in the state, or for any of the relocations into the state” (Route 128: Lesson’s from Boston’s High Tech Community, p.10). We would agree. The incentives would not have had much effect before 1975 and employment growth slowed noticeably post-1975, peaking in 1985. In any case, the bulk of Route 128’s employment growth had been achieved before 1973. The claims of Michael Dukakis, elected in 1975, as being responsible for the Massachusetts Miracle are even more suspect. Dukakis was elected for his first term in 1974 when Massachusetts unemployment exceeded 9% (peaking at 11.2% in 1975, 8.5% nationally). The state deficit reached one-half billion in 1975. In August 1976 Dukakis released his “Economic Development Plan for Massachusetts”–with one hundred initiatives for controlling costs, and providing capital finance for firms. “Its greatest significance was that it made economic planning and development a clear responsibility of state government for the first time”. (Route 128: Lesson’s from Boston’s High Tech Community, p.11). It may have been too little, too late. By the mid-late 1970’s the high cost of doing business became a central policy issue among Route 128 firms and business. In October 1977 a group of high tech firms banded together to form the “Massachusetts High Technology Council” (motivating force Ray Staka from Analog Devices (founded in 1969). By 1979 the Council’s membership had risen to 85 firms employing 140,000 (Route 128: Lesson’s from Boston’s High Tech Community, p.14). In the same year the Massachusetts per capita tax burden was 11% higher than the national rate. MHTC drew up a nonbinding ‘social contract’ in which they promised 60,000 new high technology jobs, and an additional 90,000 jobs in manufacturing and support services, if the state would take ‘substantive’ steps to cut taxes and establish a ‘healthy’ business climate.” Route 128: Lesson’s from Boston’s High Tech Community, p.14). The newly elected Democratic governor Edward King signed the compact in February, 1979. “As it turned out, the agreement was largely symbolic. Members of the Council knew that they could provide the jobs no matter what the state did” because their products were selling and Boston wage rates were competitive with other regions (convergence with the South had occurred, it was alleged because Southern wages had risen and North’s were stagnant, so Route 128’s labor costs were “inherently lower” in the non unionized high tech sector” Route 128: Lesson’s from Boston’s High Tech Community, p15). The impact of King’s signing was more psychological and it reduced the negative, war-like feeling between the business and government sectors. If so, two aspects of the business climate would seem to have overcome the effect of high taxes: non union employment and competitive wage rates. Still …. 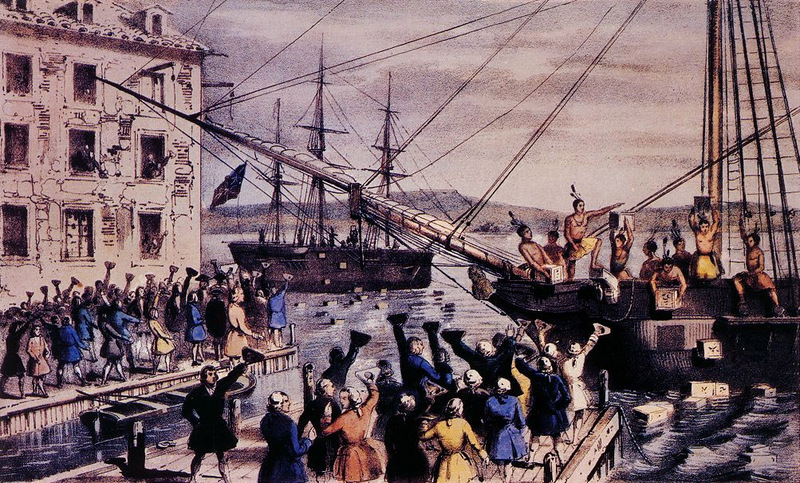 Massachusetts was in midst of its own property tax rebellion. Prop 2 1/2 was approved overwhelmingly in 1980. MHTC endorsed the Prop and meaningfully participated in the referendum campaign. The principal benefits of Prop 2 1/2 accrued to the elderly homeowner. It was not clear how the technology sectors would to benefit. The Democratic party itself was split. Former governor Dukakis fought against Prop 2 1/2/(it would cut municipal expenditures, services and limit government capacity and fiscal stability). And Dukakis was reelected to a second term in 1982. Once in office Dukakis consistently opposed any further Prop 2 1/2 tax cutting. But a vigorous public campaign, with MHTC very much in the fray, restrained taxes, welfare and government payrolls growth(successfully dropping the income tax surcharge in 1985). A variety of forces were combining to continue lower taxes during the eighties and by 1987 the Massachusetts tax burden was 10% below the national rate. (Route 128: Lesson’s from Boston’s High Tech Community, p.16). At least in terms of tax burden, Massachusetts had over a decade implemented some business climate reforms. And by 1976 the national recession had eased. And the Carter Administration had resumed issuing to New England increased contracts for defense projects. 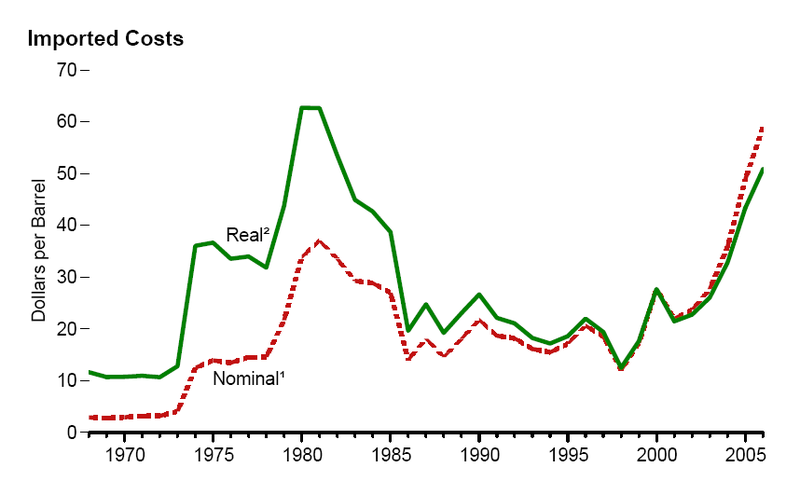 Federal defense contracts rose by 42% between 1976 to 1979. By 1980 firms in Massachusetts–with 2.5% of nation’s population–had won 5.6% of prime federal defense contracts. On top of this the Reagan Strategic Defense Initiative in 1985 alone added $12b or 8.3% of the state net product. Route 128: Lesson’s from Boston’s High Tech Community, p. 11). Still, despite the resumption of federal defense contracts, the defense spending never came close to levels funded during Route 128’s more golden years. Between 1965-1980 the share of high tech business conducted for the federal government fell from 60 to 25 per cent in Massachusetts (Route 128: Lesson’s from Boston’s High Tech Community, p.12). Route 128 had become our First Camelot largely on the largesse of federal defense and space contracts, sustained over a generation. The transition from these contracts to competing in a consumer driven constant change product cycle, operating in a somewhat harsh and non receptive state business climate, was proving difficult indeed. “It is true that a host of tax incentives, training programs, and other innovative ideas were implemented at the urging of the business community to promote business growth in the state, but whether any of them achieved their specific goals is open for debate. More than anything they represented an attitudinal shift toward accommodating the concerns of the business community. By shedding its ‘anti-business’ image, the state was able to foster a supportive atmosphere of stability and cooperation that has helped silence its critics” (Route 128: Lesson’s from Boston’s High Tech Community, p 16). Other non-Route 128 based technology such as biotechnology, robotics, material, artificial intelligence began to dominate both overall state and New England numbers. Shipments overseas rose from 5.2 to 9.2 (1972-1976) of total sales (entire of New England). By 1978 unemployment in Massachusetts fell to the national rate and in 1979 state-wide high tech employment reached 200,000. High tech manufacturing jobs between 1975-1983 increased by 47.4%, while non-high tech durable manufacturing slipped downward by 5.1% and non durable manufacturing by 6.7%. The service sector between 1975 and 1983 grew at 46%, 3x faster than all other sectors combined (business services, computer services, data processing services and software grew at a faster rate (95%) and accounted for 30% of all new service sector jobs. (Route 128: Lesson’s from Boston’s High Tech Community, p.13). It is not clear whether Route 128 had any direct effect on these overall state and regional numbers. But without doubt, the state and the region had done well in the technology burst of the seventies and even eighties. Post 1985 Aftermath From data sourced from 1959-1990 County Business Patterns, Route 128 employed about 85,000 workers in 1970 and Silicon Valley about 60,000. In 1975, Route 128 employed about 100,000 workers–but Silicon Valley about 110,000. At no point after 1975 did Route 128 exceed employment levels of the Silicon Valley. By 1990, Silicon Valley employed 255,000 or so, Route 128 was about 150,000. It appears from this data that Route 128’s peak employment was 1985 with around 160,000 (see p.3, Saxenian, Regional Advantage, Figure 1.). In terms of employment, post-1975 Silicon Valley was the dominant of the two Camelot’s. The fairly widespread perception, supported by subsequent literature and employment data, business commentary and simple public perception is that Route 128 has not sustained its advantages of the eighties and nineties. This is hotly contested by the locals, who are simply tired of defending themselves, and who alleged, correctly, that the Massachusetts technology sector (led by bio-tech, clean and green tech, and some “cloud” applications) is still a powerhouse that most other regions and communities would kill to have. It is also descriptive that the location of current Massachusetts high tech agglomeration is less Route 128 than the geographies surrounding Cambridge and downtown Boston and to some extent the North Shore up to Southern New Hampshire. Geographically, the Massachusetts Miracle did help areas around Boston and up through New Hampshire, but the remainder of the state was essentially stagnant. For the most part, the Silicon Valley was “an agricultural region as late as the 1940″s. Aside from a handful of small electrical firms, the only local industry was small-scale food processing and distribution” (Saxenian, Regional Advantage, p.11). Compared to this, Route 128 had “more than two centuries of industrialization (which) laid the foundation for the postwar surge of activity in electronics. (Saxenian, Regional Advantage, p. 11). World War II, to be sure, witnessed the establishment of military bases, population shifts and other contracts for the Santa Clara valley–but Route 128 dwarfed anything going on in the Silicon Valley. The Defense Department so favored the East Coast that in 1943 when the Defense Department hugely cut contracts to West Coast, it spurred the formation of the “West Coast Electronics Manufacturers Association”– the forerunner of the American Electronics Association–to combat the cuts. (Saxenian, Regional Advantage, p. 21). 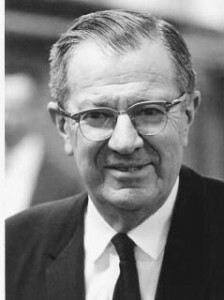 While Silicon Valley’s success is often attributed to spin offs by Stanford University, it’s real founder in our opinion) was Professor Frederick Terman (1924 MIT electrical engineering grad) who returned to Stanford (his father was a professor at Stanford) in 1925. 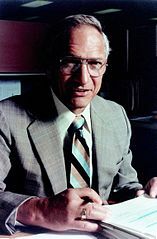 Until 1940 Terman taught, researched and became a national leader in electronic and radio engineering (vacuum tubes) technologies. 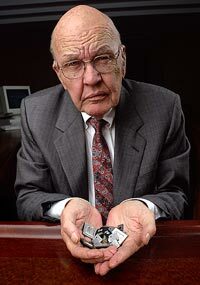 But the best example of his drive and his role was his role in assisting the formation and growth of a small tech firm pioneered by two of his students, a Mr. Hewlett and a Mr. Packard. . Terman lent H&P their start up financing, secured a bank loan for them, and found them a shop. This was decidedly not the MIT approach. H&P technology was first purchased by Walt Disney studios, but quickly became integrated into receivers to detect enemy radar signals once America entered the war. By war’s end H&P were getting $750,000 from Defense Department sales (a smidgen of the billions flowing to Route 128). H&P in 1948 had 130 employees. Additional Terman spin offs which located in the area created “a small cluster of prewar technology firms… alongside HP”(Saxenian, Regional Advantage, p. 20) One was Litton Engineering Laboratory found in 1932 to produce glass vacuum tubes and by the end of the war “was the nation’s leading source of glass-forming machinery (Saxenian, Regional Advantage, p. 20-21). Another was Varian Associates (lent $100 by Stanford and given free use of Stanford labs in exchange for 50% interest in any resulting patents”(Saxenian, Regional Advantage, p. 21). During World War II Terman had relocated to Harvard Radio Research Laboratory and worked on radar jamming and anti-aircraft defense technologies. In 1946, he returned to the Stanford faculty. 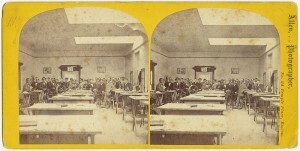 Terman wanted to establish a strong West coast technology industry capable of sustaining itself in competition with East and his way to do this was to “strengthen the role of the university in supporting technology-based industries by building a ‘community of technical scholars’ in the area around Stanford. “Such a community is composed of industries using highly sophisticated technologies, together with a strong university that is sensitive to the creative activities of the surrounding industry”(Saxenian, Regional Advantage, p. 22). And so he built Stanford and his electrical engineering department into one of the best in the nation through faculty and grad student recruitment. By 1950 Stanford was awarding as many doctorate in electrical engineering as MIT (Saxenian, Regional Advantage, p. 22). 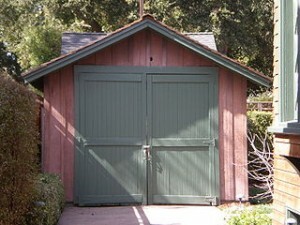 By 1951 Terman was Dean of Stanford’s Electrical Engineering School. Terman used his East Coast experience to leverage defense contracts coming out of the new Korean War and the space race which developed in the 1950’s. Terman drove the spirit of institutional cooperation with technology firms, Stanford University, grad students, entrepreneurs and their spin offs. 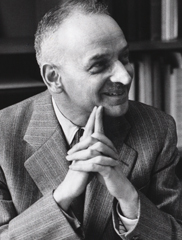 He also created the Stanford Research Institute in 1950 (defense related research for West Coast firms), established Honors Cooperative Program (in which employed engineers in established firms took graduate courses in classrooms at the firm itself, by 1961 400 engineers were enrolled) (Saxenian, Regional Advantage, p. 23). Most importantly, Terman promoted the creating of the Stanford Industrial Park (1951)–a short walk from Stanford classrooms and its first tenant, Varian moved its R&D right next to Stanford University–a slew of other corporations would follow and by 1955 the research park encompassed 220 acres, and by 1961 652 acres (home to 25 companies and 11000 employees) (Saxenian, Regional Advantage, p. 24). Another classic deal, exposing how Stanford was different from MIT is in Terman’s deal with Lockheed. Terman convinced Lockheed to locate its new missile and space division in nearby Sunnyvale (1957): “Stanford agreed to provide faculty members to advise the division and to train its employees, while Lockheed in turn was, instrumental in rebuilding Stanford’s aeronautical engineering department (Saxenian, Regional Advantage, p. 24). 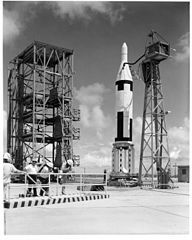 Eventually many East coast firms, including Raytheon, established branches in SV, so did the forerunner of NASA. This was the critical mass of firms that was needed to “enlarge the technical infrastructure and skill base of SV” (engineering talent, local suppliers, start ups in diverse areas as lasers, microwaves and medical instrumentation. Route 128 was more specialized in its core expertise; SV was all over the place with many potential platform technologies spread across a number of sectors and industries–never really tied absolutely to the Defense Department only. “By the late 1960’s, Santa Clara County was recognized as a center of aerospace and electronics activity. The Silicon Valley’s most explosive growth, however, was driven by the emergence of an industry that had not even existed until 1951: the semiconductor. 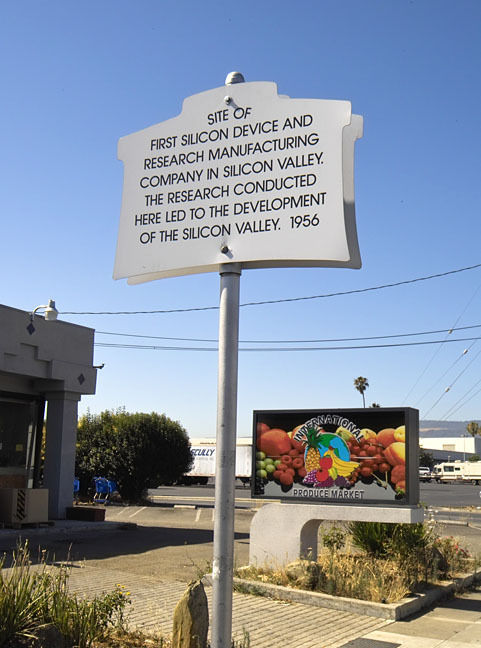 Indeed, the Santa Clara Valley was dubbed “Silicon” Valley in the early 1970’s after the main ingredient in the semiconductor” (Saxenian, Regional Advantage, p. 25). The industry started in California in 1955 with Shockley Transistor in Palo Alto and by 1970 it was “the largest and most dynamic sector of the regional economy and SC county had established itself as the nation’s leading center of semiconductor innovation. William Shockley, Stanford grad, one of the inventors of the transistor worked for decades at AT&T Bell, left in 1955 for Beckman Instruments after having tried to establish a start up transistor firm with Raytheon (1954) but it didn’t work out and he went back to Palo Alto (to care for his ailing mother) and started Shockley Transistor Corporation. He hired the best engineering talent he could find, but, on a good day was a mere ego manic, and on a bad day, a petty dictator. So most of that talent, the “traitorous eight”, left and formed a competing venture. They joint ventured with Fairchild Camera and Instrument Corp (NY) and their corporation was the now famous Fairchild Semiconductor. One of Fairchild’s spin offs was Intel Corporation. While still in a garage, Fairchild Semiconductor got an order for 100 mesa silicon transistors, followed by Air Force and NASA contracts. “By 1963, sales were 130mm. Fairchild spawned ten spin-offs in its first eight years”(Saxenian, Regional Advantage, p 25). By 1968 all eight had left, including three who founded Intel (1961). “31 semiconductor firms were started in SV during the 1960’s and the majority traced their lineage to Fairchild. Only five of the forty-five independent semiconductor firms started in the US between 1959-1976 were located outside of SV”(Saxenian, Regional Advantage, p. 26) A network of manufacturers, equipment designers all were integrated into chip design and manufacturing-this was horizontal not vertical corporations. From its very inception, the Silicon Valley was diversified, much less dependent on defense department contracts, competed in consumer-driven markets, and financed not by government contracts but by venture capital (by 1974 more than 150 venture capitalists operated in the SV) (Saxenian, Regional Advantage, p. 27) Stanford also offered VC from endowments and facilities. And to repeat, by 1975 the Silicon Valley had surpassed Route 128’s employment level. 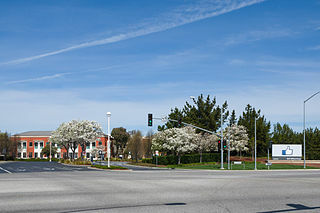 The reputation and performance attributed to the Silicon Valley, especially when compared with Route 128, results chiefly from the Silicon Valley’s second wind (i.e. a second burst of performance) during the 1980’s and following. As mentioned earlier, Route 128 seemed to plateau in the 1980’s and while employment did grow afterward into the 1990’s, many of the firms associated with Route 128 either ran into trouble or were actually acquired by other, sometimes, Silicon Valley firms. In computer hardware, at least, Route 128 settled into second place. Silicon Valley, on the other hand, after a slight hesitation, continued its trajectory upward. Why and what does this all mean? AnnaLee Saxenian, constructed an answer to the “why question” and that answer has achieved a consensual-paradigmatic type dominance in our discipline. That her position has become conventional wisdom is not particularly a problem, but it does increase the value of Curmudgeonian skepticism a bit. Anyway, before we start with Saxenian’s answer to why Silicon Valley sustained its technology lead and leaped into new sectors and industries beyond computer hardware-semiconductors, the reader might benefit from a subtle piece of theoretical information. Obviously, in talking about these Camelots, we are flitting around the cluster-agglomeration light bulb. As we discuss Saxenian, we should be sensitive that she suggests that traditional agglomeration-cluster approaches, which are based on the notion of “external economies of scale” introduced by Alfred Marshall in 1920 (Industry and Trade, London, MacMillan, 1920) do not satisfactorily explain the Silicon Valley’s second burst of performance. According to Marshall’s more conventional beliefs concerning agglomeration, firms in an agglomeration-cluster benefit by sharing from common resources such as infrastructure, skilled workforce, specialized suppliers, and a diffusion of knowledge resulting from near face-to-face communication. This is typical of today’s mainstream cluster thought as presented to Michael Porter, Krugman and ton of other clusterists. All of those common agglomeration resources lay outside the firm–in the firm’s external geographic neighborhood-environment. Saxenian takes a position that there are also other factors internal to the firm which can facilitate adaptation, efficiency, knowledge-diffusion and which shape the agglomeration itself. In particular, she argues that there are “cultural” values, beliefs, practices peculiar to a geographic region which slip into a firm’s personnel, decision-making and bureaucratic structure. When a number of firms in the agglomeration-cluster share these “cultural” intrusions, that agglomeration-cluster can become distinguished from other agglomeration-clusters in the same sectors/industries, presumably advantaging or disadvantaging one agglomeration-cluster over another. So, she argues that Silicon Valley firms developed certain “cultural” traits and practices, values and styles which sustained their innovation and creativity and propelled them ahead of Route 128 in the 1980’s. Accordingly, Saxenian is describing something that is above and beyond (actually below and beneath) Porter cluster thought–an additional “app” which can be attached to mainstream cluster theory: the importance of intangible values, and “networks of social and institutional relationships that shape, and are shaped by, their (the firm’s) strategies and structures” (this is a quote of M. Granovetter, 1985, “Economic action and social structure”, American Journal of Sociology, Vol. 91, Issue 3, pp. 481-510 which Saxenian will build upon in her argument as presented in “The Limits of Autarky: Regional Networks and Industrial Adaptation in Silicon Valley and Route 128”, 1994, p. 3). Saxenian argues that underneath each geographic agglomeration or cluster there is a more or less unique network of values, social interactions, institutions which evolve over time and which penetrate into the operations, decisions, and structure of the firms within the agglomeration. A rose, is a rose, is a rose may well be true (NOT! ), but, in her world, all clusters are not identical in their underlying network of culture and institutions–and these different cultural network of values and institutions matter! Saxenian suggests that Route 128 became victim to the culture which evolved from its long-standing heritage–i.e. those preconditions which we earlier asserted created the initial advantage which pre-Route 128 Boston-Cambridge enjoyed over all potential competitors. The values and institutional and social networks associated with the evolution of the New England industrial economy while sufficient in the early stages of the technology development could not keep up with, compete in the rapidly changing, quick response innovation industries associated with technology. In essence, Route 128 developed and relied upon large firms which internalized and made proprietary their key personnel and technologies, produced their own supplies, and even manufactured and marketed their product. These firms could not respond quickly enough to change and instead became deeply committed to technologies and products which quickly became more or less obsolete or inferior to newer technologies. How? Personnel were promoted who emphasized loyalty and long-service to the firm, suppliers and production units became departments or subsidiaries of the firm and the network of supporting institutions such as finance and universities reinforced and supported the creation of these big, soon to be dinosaur firms. Local workers identified with this and actively sought to enter the womb of these behemoths. Risk-taking with these T Rex sized firms was, my gosh, risky and failure was not an option. Personnel went home at night to their families and joined bowling leagues and went to church on Sunday. These firms privatized their technologies, charged top dollar for the products of their self-created monopolies, and deprived their customers of flexibility and even control in the use of these technologies and products. The culture of informal and formal networks in the Silicon Valley were in many ways just the opposite of Route 128. Instead of becoming large, platform companies specialized around continual innovation and developed, a Silicon Valley network of independent specialized supplier and producer firms emerged. These firms shared their innovations (open systems) and technologies (and even personnel and facilities). In this type of culture platform companies could be flexible and keep abreast with ever newer technologies and processes–incorporating them into their own processes and products. These relatively small platform firms, and the nexus of independent firms with which they evolved close relationships, personified flexibility, openness (open technology-architecture) and in turn developed equally close relationships with their customers which reinforced customer flexibility and customization–and loyalty. These were all firms which could respond to change nimbly and effectively. They could adapt to and keep up with the rapid changes in technology–and technologies and processes could become available to other sectors and industries. The culture of the Silicon Valley, often referred to by outsiders as quirky, supported, if not pointed firms in the Valley into conformity to these structures and operating principles. Following decentralized, knowledge-sharing regional agglomeration conglomerate of independent specialized start up corporations became a distinctive way of life. Knowledge workers moved from firm to firm, often starting their own–while still maintaining social and professional relationships with their original platform corporation. Joint projects, shared technologies, interactive customization with their end-users, universities offering courses at the firm itself, and the firm within walking distance of other key firms seem weird by Route 128 standards. But more than anything was a Silicon culture which glorified risk-taking and attributed little shame to failure. Try out your idea–see if it works. If it doesn’t come on back. Skilled workers after work went to “geek-watering holes” shared by all sorts of competing firms as well as the guy in the next cubicle (who might easily be the boss). Employees had affairs and worked all kinds of hours for days at a time. They coined the expression “24/7”. If there was a world outside their job/profession, they didn’t know about it. And on top of all this was a network of supporting institutions such as Stanford College, venture capital firms, and legal and accounting talent all based around these values and practices. Saxenian discusses a specific set of institutional interrelationships which affect economic developers quite a bit: the technology firm’s relationship to government, especially municipal government. In her view, the firms in the Silicon Valley possessed a mindset in which they tried to work with local governments in particular. In partnership, they were able to reduce costs and avoided the Taxachusetts confrontation with the state government and its business climate. Around these divergent cultures Saxenian tells the story of how the Silicon Valley was able to respond in time to the inevitable transition from computer hardware cluster to the computer software cluster (and now to the digital-mobile and social media clusters). Route 128 tried, and for the most part just couldn’t turn on the dime that the Silicon Valley did. It was culture and its personified network of values, institutions and social relationships. 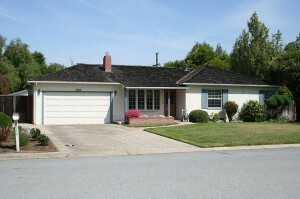 As such the Silicon Valley became change and innovation personified. Route 128 survived and prospered but evolved into a more conventional mixture of sectors and clusters, interspersed and intermixed. Those stuffy Puritans were apparently no match for the California surf-geeks. Also, it could be argued the culture created by multi-generations of federal government cost plus contracts did not attract the same mix of personality types, or encourage more competitive behaviors and values. Can Cultures Change? Can the Silicon Valley Maintain the Culture of its Youth? We might add more complexity to the discussion as to why Silicon Valley proved to be the better long distance runner. Saxenian, we think, has been more widely received and accepted, but there are competing explanations. One, developed by Martin Kenney and Urs von Burg (“Technology, Entrepreneurship and Path Dependence: Industrial Clustering in Silicon Valley and Route 128”, Industrial and Corporate Change, Vol. 8, Number 1, 1999) focuses on the actual product. Silicon Valley’s semiconductor chip and its applications and Route 128’s mini computer. 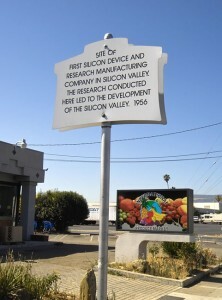 The evolution of each region displays important path-dependent characteristics as Route 128 evolved into the center of the mini computer industry and Silicon Valley became the center of the semiconductor industry. 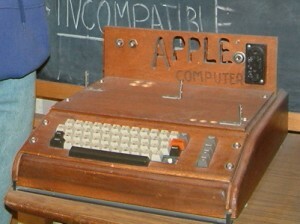 The semiconductor would become the fundamental input to every product with an electronics function whereas the minicomputer was a much more limited artifact. (p. 68). In addition, Kenney and von Burg observe that the network of supporting institutions in the Silicon Valley, chief of which was the little mentioned IBM San Jose Research Center and Xerox’s Palo Alto Research Center which spun off other industries: magnetic storage devices and disk drives (Seagate, e.g.) and relational databases–Larry Ellison’s Oracle. 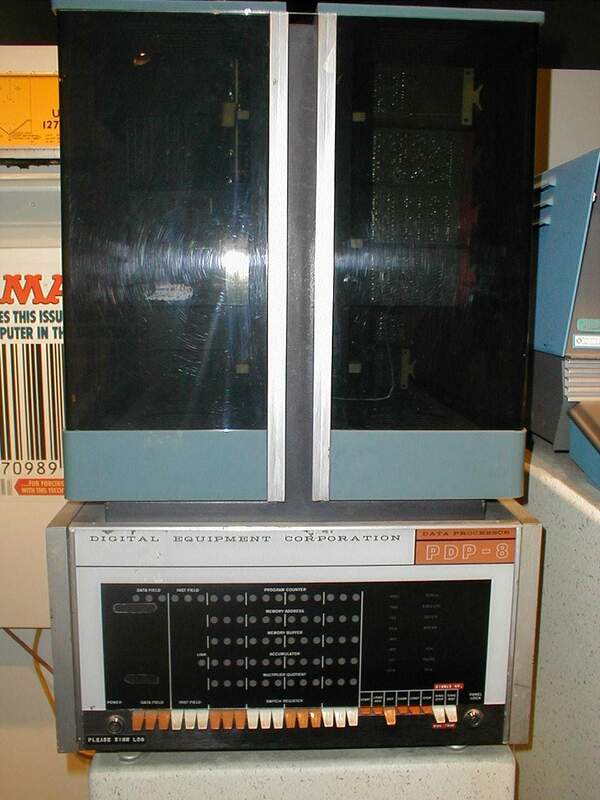 The Valley was also able to develop the LAN industry from these Xerox’s PARC. In other words, the size and robustness of the institutional network is itself a obvious factor in Silicon Valley’s capacity to develop and operate several related industry clusters into a larger overall Valley agglomeration. Kenney and von Burg call these research institutes, “seed institutions”. Route 128 was forced into catch up mode as it had to adjust and compete with these newly established industries spun out of the numerous Silicon Valley seed institutions. (p. 95) These multiple industries, some of which reflected the cultural distinctiveness specified by Saxenian, others of which (Hewlett Packard, for instance) did not. Kenney and von Burg characterize Saxenian’s model as fitting into “Economy 1” (encompasses the activities of existing institutions which deliberately create seeds for spin-off entrepreneurship and which possess a dense network of specialized suppliers (Saxenian). For second growth and multiple cluster diversification one needs on top of this an “Economy 2 ( which is an institutional infrastructure aimed at the creation and growth of new firms–second stage entrepreneurs, venture capital, specialized legal-accounting (patents, IPO’s), marketing, executive search firms, investment banks specializing in technology (pp. 73-74). Getting started as an agglomeration-cluster requires Economy 1 (which includes Saxenian’s culture and other cultures), but sustaining that innovation and maintaining-enhancing the cluster over time requires Economy 2. Economy 2 does not inevitably follow from the development of Economy 1. A third explanation was developed by Ronald J. Gilson (The Legal Infrastructure of High Technology Industrial Districts: Silicon Valley, Route 128 and Covenants Not to Compete”, (New York University Law Review, Vol. 74, Number 3, June 1999) and followed up on by Richard A. Booth, (Give Me Equity of Give Me Death-The Role of Competition and Compensation in Building Silicon Valley”, Villanova University School of Law, Working Papers Series, Working Papers 99, December 2006). Gilson builds upon Saxenian and adds another component to her network of social relations and institutional relationships; he adds the impact of the state legal system. In particular, Gilson suggests that Silicon Valley proved more robust than Route 128 because “California law prohibits post-employment covenants not to compete, whereas Massachusetts enforces them” (Booth, p.3). In essence, enforced non compete laws inhibit or prevent not only start ups or “job-hopping”, but knowledge diffusion as well. Going to a “geek watering hole” can land one in jail. Gilson and Booth suggest that “By enforcing covenants not to compete, Massachusetts law protected first generation businesses, but it retarded the growth of second generation businesses”. “California’s prohibition of covenants not to compete has been an important factor in the success of Silicon Valley. (Booth, p. 4). At this point, Booth wildly goes forward and says we need to go further; there are additional serious evil effects of enforcing non compete laws. He argues that California firms could construct the equivalent of non compete laws by offering to workers “the prospect of equity”–stock options–which serve as ‘golden handcuffs’ binding the worker to the original firm. [He also observes that “trade secrets” law can be interpreted to resemble the effects of non compete laws]. Our sense of Booth’s argument is that his point is ultimately quite powerful, but also very, very subtle. If we concede that legal issues can strike at the heart of knowledge-diffusion, spin off entrepreneurship and the network of social and institutional relationships which Saxenian has constructed (and to a certain extent which conventional cluster “external economies of scale” also require), we can see that in the past where such laws and court decisions did not exist (Silicon Valley) they disadvantaged geographies in which laws and precedents restricted these factors (Route 128). 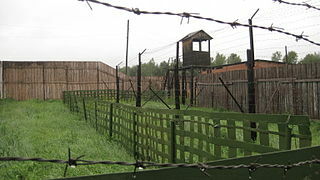 It appears, however, that these legal intrusions in the last couple of decades have become a much more serious issue. As such they can prevent/restrain/inhibit second generation, multiple cluster agglomerations from developing in the future. Stock options, patent infringements, as well as trade secrets and non compete agreements have now become much more standard fare in technology financing, joint partnerships and shared, i.e. licensed technologies–and state law precedent. You can’t pick up the Wall Street Journal without reading that one technology company is suing another for one of these (and other) issues. Patent Trolls (firms which buy patents and then license or sell them) are assembling patent treasure lodes, laden with future complications for knowledge-diffusion. If this subtle transformation has, or is, occurring in your state, then you may face headwinds not faced in earlier years and geographies. These Camelots share certain commonalities–one of which is so obvious that few pay sufficient attention relative to its centrality in the evolution of a future Camelot. We discuss (1) a governmental mini big push; (2) the processes of diffusion and sustained innovation extending from an original sector/industry into different sectors and industries; (3) the development and behavior of critical platform companies and supportive infrastructure. The midwife of both Camelots were sustained federal contracts which paid for applied research to construct specific products (radar systems, for instance) conducted at each firm. The basic research upon which most of the applied research was based was developed decades previous (in some cases four decades previous). Like a fine wine, it appears that basic research must be carefully aged until a specific product is needed for which someone is willing to pay. If so, federal spending for basic research will help employ your grandchildren. A trick behind innovation induced by government, if our lesson from the Camelots is correct, is for government to want (and pay for) some “platform” product which requires a minimum to moderate leap in innovation from existing basic knowledge. A platform product is one which can potentially be used in a number of industries and sectors. It certainly helps if government needs can grow along with technology innovation so that it continues to support additional innovation–as it did from radar systems to GIS systems for missiles. World War II warped into the Cold War, and the Cold War warped into the Space Race and sustained federal applied research spending binge was largely its byproduct. The role of sustained-multi-decade federal applied research funds and the university network-relationship that it spawned, is a fundamental independent variable for these Camelots. The reality of war throughout this period provided the constancy, depth and intensity of the sustained federal commitment and elevated it above partisan politics and shifting presidential administrations-congressional rotations. We wonder if an intermittent, slow burner federal commitment would have yielded identical results. The 1940-1965 federal involvement constituted what we label as a “mini-big push”. The mini big push provided for our Camelots the “demand” for a number of innovations and technologies that had been lying around, in some form or stage of development, for decades previously. We question the value of sporadic, small scale, basic (and applied) research awarded to research semi-political, quasi ideological chasm technologies such as global warming and even “clean and green” stuff. The likelihood of sustained federal involvement across many years and political administrations-congressional majorities is questionable. A new mini big push should require some consensual, bipartisan, foundations. A race for an Alzheimer treatment/cure might be a more sustainable applied research involving possible platform technologies and delivery approaches. By the early-middle 1950’s, however, this initial advantage was already diffusing across the nation (Silicon Valley and Texas). By the middle 1980’s Route 128 was losing job creation momentum and what was an agglomeration appeared to be dissipating into a number of unrelated clusters. Diffusion and agglomeration sustainability, it appears, are important issues. This diffusion does seem to have been affected by each Camelot’s culture of innovation, aspects of its state business climates, the consequence of idiosyncratic, personal-career-profit decisions by a few critical entrepreneur-inventor-academic individuals. Can public planning overcome the privatist-entrepreneurial-serendipitous diffusion of both knowledge and sustained innovation. If not, This factor is not especially good news for economic developers or for those that think one can “plan” or “create” innovation-knowledge diffusion. One wonders how this reconciles with current authors who stress the sustainability of high technology regions on the basis on their accumulation of hordes of “educated” workers. In the new “knowledge-based Camelots” it is these educated employees who turn into entrepreneurs and sustain innovation indefinitely into the future. In this knowledge-based world first generation entrepreneur (Ford’s, Edison, Shockley, Terman, Kilby, Olsen, Boyce and their ilk)–and the critical platform companies form naturally and make the right decisions. This is indeed a magical land. Route 128 wishes it were so! In the Curmudgeon’s world, anyone who thinks they can “plan” and “herd” these creative-innovative cats has a real arrogance issue. Maybe the second or third generation entrepreneur can be pushed and prodded by government action or economic development incentive? Maybe? But by that time the product is more along the lines of whether it will be green or yellow, larger or smaller. Platform technologies are created by first and sometimes second generation entrepreneurs and they dance to their own music–not yours. None of them needed or were slightly interested in anything associated with say, “mentoring” or risk-taking lectures, and even the role of accelerator-incubators appears limited. Also, the “styles”, personalities, and personal value systems of these folk exhibit considerable variation and that variation seemed to result in important differences in the evolution of each of these Camelots. Terman, for instance, had an intra-university-business start up style which facilitated, perhaps caused, an initial university-led evolution of Silicon Valley. Would there have been a Silicon Valley without Terman? Or Shockley? Route 128, however, lacked a Terman, and drew instead from the Harvard-MIT nexus-culture. Both universities preferred to spun out their innovators early. The university role and relationships in Boston (Defense Department and federal government-based) were light years different than Silicon Valley’s experience. Shockley and Kilby, on the other hand, were lone wolf inventor-entrepreneurs, not especially academic-dependent,and operated primarily within corporate cultures. But to be fair, all of these folk did have college degrees and hence were bona fide knowledge-based economy members. Also, each entrepreneur worked primarily in private industry and spun off from research labs. Kilby chose not to start his own firm, but worked as an inventor within the overall Texas Instruments system. Olsen left the university-spin off Liberty Laboratory to form his own corporation on a newly opened highway ten miles away from Boston CBD–largely to avoid the traffic and politics around Boston and its downtown political machine (James Michael Curley was still in power at that time). Shockley left Boston to care for his ailing mother and eventually wandered back to Stamford and the Silicon Valley. And Bill Gates went home to Washington not having been associated with research lab or for all practical purposes a university (yes, he sort of attended classes for awhile, but his key innovator-friends were from high school). Second stage firms, such as Fairchild and even Fairchild’s spawn, Intel, and they are also platform firms and they too are critical to sustained innovation. Platform firms are a key driver to forming a cluster or an agglomeration. Platform firms are not required to behave in a similar fashion organizationally-structurally. Firms spun out by a platform company can generate new technologies independently (can even operate in unrelated sectors and industries), and through outsourcing form production, support or design firms. OR, the platform firm can retain its spin offs, become a virtual conglomerate, and develop the vertically integrated firm. Saxenian believes this decision is a key distinction between Silicon Valley and Route 128 and explains to a considerable degree how to diffuse knowledge most effectively. 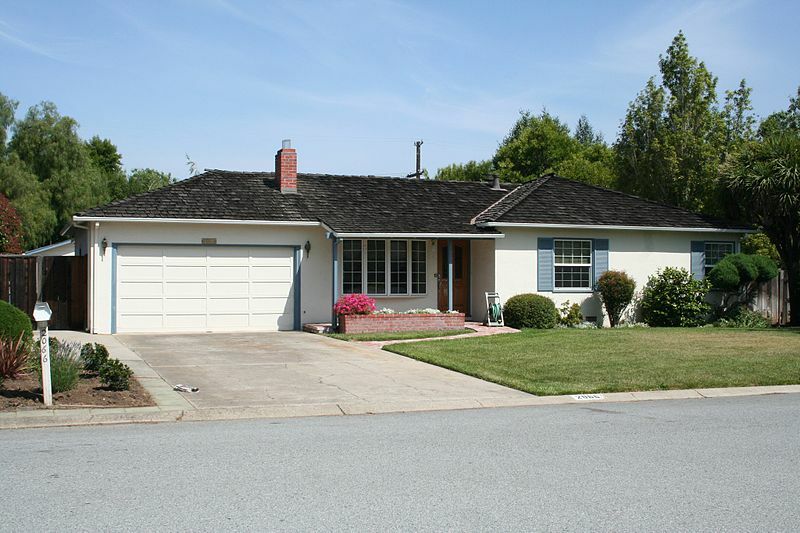 Texas Instruments followed a pattern closer to the Route 128 model than Silicon Valley. There are other models as well; for instance the Zaibatsu and Keiretsu approaches which launched the Japanese revolution, which by the way, also was occurring at about the same period of time as our Camelots. Oh yes, there was also the Gulag approach which also seemed to worked fairly well in the Soviet Union (at least until 1990)– and there is that state capitalist-Chinese approach which presently driving us nuts today. The point of all this blather and different, largely contradictory, approaches to handle innovation-knowledge diffusion is to either suggest that political culture allows for many paths to travel in our quest for our holy grail. We are not sure how the current knowledge-based economy stuff fits into all this–except in a very general rhetorical kind of way. What we see is a privatist, unpredictable and uncontrollable process–if you can call it that. The inclusion of privatism, or entrepreneurism if you must, into our evolution of the Camelots suggest a number of possible issues and considerations. If first and second generation entrepreneurism combines profit and ego maximization with raw individualism layered on top of talent, knowledge, skills, experience then we have complexity and multiple moving parts and that is what creates the serendipidity which limits the effectiveness of very specific government actions and incentives. It is the styles of these folk that shapes the future evolution and impact of business climates, cultural norms, and regional political culture on the evolving agglomeration. An economic developer believing all that is necessary for this stuff to work well is gather thousands of college educated folk into one geography and watch it all happen, forever, is, in the Curmudgeon’s world a quest for a Monty Python Holy Grail.